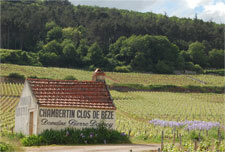 Located in the east of France, Burgundy is one of the country’s most important regions. Its red wines, mostly from Pinot Noir, are some of the finest wines with prices to match. They are also among the most long-lived and sought-after wines, from some of the finest vineyards in the world. Red Burgundy is the focus of many a serious wine collector, so we are grateful to be able to offer such a broad variety of wines from this region. We specialise in maintaining an extensive list of mature Domaine de la Romaneé-Conti, as well as representing other top producers such as Ponsot, Groffier, Rousseau and de Vogue. If you require any assistance or are looking for something in particular, don’t hesitate to get in touch with us directly; chances are we can find it for you.